Man United needed a miracle to beat PSG in the R16 of the Champions League. They might need more than a miracle to have any chance of ousting Barcelona from the competition. The Red Devils lost their last game vs Wolves in the Premier League and must step up big time. On the other hand, Barcelona have been brilliant this season. More importantly, Lionel Messi is unstoppable at the moment. The Argentine superstar has netted 8 goals in his last 5 league outings. Not to forget, in Barca’s last CL match vs Lyon (R16 2nd leg at the Nou Camp), Messi scored 2 goals and also provided 2 assists. Can United stop the little magician? Only time will tell. As far as United’s team news is concerned, we can expect Solskjaer to make four changes in the starting XI that played vs Wolves. In the center of the park, Nemanja Matic should replace Fred to start as the main defensive midfielder. Ander Herrera could replace McTominay to start in the center midfield. In the attack, Lingard played as a secondary striker in the last game. He should move to start on the right wing. Martial should return to start on the left wing. Rashford must replace Lukaku to start as the lone center forward up front and Pogba must start in the No. 10 role behind the young English striker. 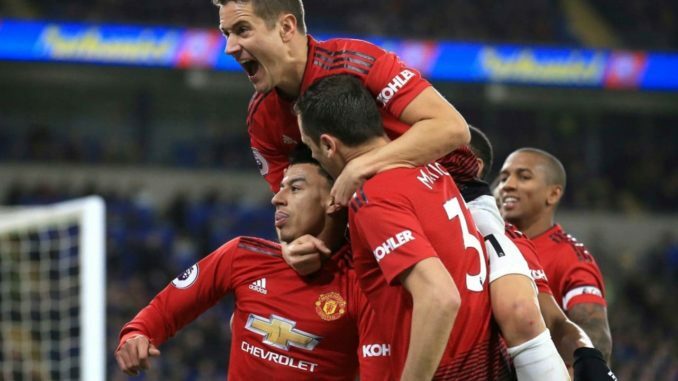 As far as the defense is concerned, Young has been terrible in the last two games but due to his experience, he could start ahead of Dalot in the right back position vs Barca. Shaw should start in the left back role and the likes of Smalling and Lindelof should start in the central defense in front of La Roja shot stopper De Gea.